Lately, my Facebook newsfeed has been filled with prettygirlsmakinguglyfaces.com's photos. I love it!! 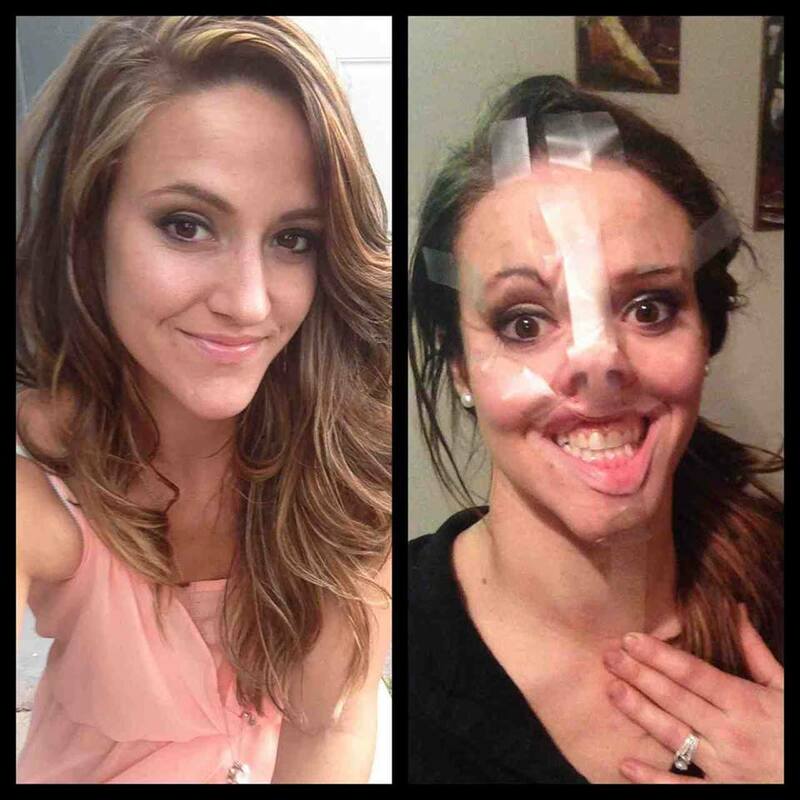 Anyone who puts tape on her face and takes a picture for the world to see is A-ok in my book. Just look at this girl's nostrils skills! Inspired, I took to my fellow ChicagoNow bloggers who I thought would be open to publically embarrassing themselves. I mean, we are obviously oversharers, right? They didn't disappoint. I am pleased to present to you "hot bloggers making ugly faces" AKA "faces of Chicagoans enjoying temps 40 F+/raging at tourists blocking the el doors. Assholes." Can you outdo these ugly mugs? Post your pics in the comments, share on Swirleytime's Facebook page, Tweet or email them to swirleytime@gmail.com. Don't think about it, just do it. Don't rely on fickle Facebook for updates. Subscribe to Swirleytime below for more stories of screw-ups and weird observations. Type your email address in the box and click the "create subscription" button. My list is completely spam free, and you can opt out at any time.